The powerful triumvirate of Twitter hashtags, celebrity promotion and selfies is creating quite a storm around plastic straws. In January of this year, London newspaper The Evening Standard launched a campaign – The Last Straw – to attempt to rid the capital of them; then in February, the paper announced it was encouraging Londoners to use the power of social media to put pressure on the city’s bars, restaurants and venues that were yet to sign up to the initiative. To get involved, Londoners were asked to post a selfie with a drink with no straw (or a recyclable/ reusable straw) and a short caption detailing why they were getting involved, and how important they thought it was for the capital to go straw-free. This was a clever move from The Standard, recognising that people love to share their positive behaviours (as well as take selfies with drinks). Brands are also taking notice; Scotch whisky brand Chivas Regal recently launched a similar initiative, and at the same time, brand company Chivas Brothers appointed a new head of sustainability and responsibility. Diageo has promised to phase out plastic straws and stirrers, advocating the same for its partners and customers. Even Wetherspoons, (which is famously, stubbornly anti-social media) has responded to the trend, halting the brand’s annual dumping of 70 million plastic straws in landfill by banning the use of plastic straws in its pubs. Gone are the familiar greens of eco-brands; sustainability is entering the mainstream in an unprecedented way. 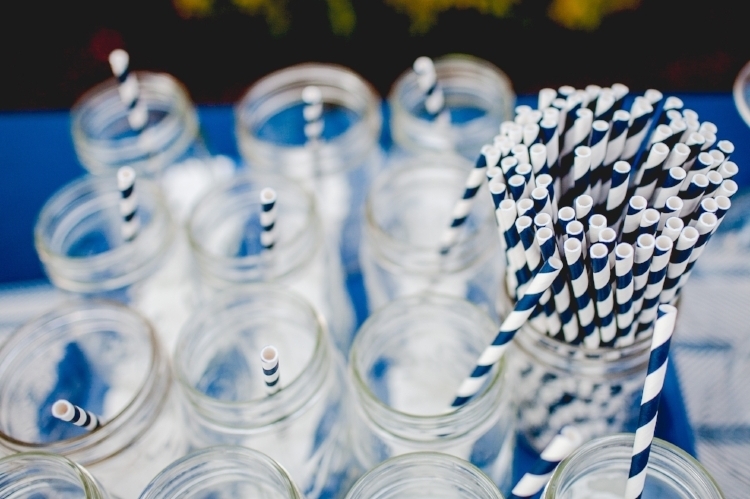 The anti-straw movement forms a small part of a host of new commitments to sustainability by big brands, particularly surrounding plastics and packaging. Today, UK supermarkets launched a new voluntary pledge – the UK Plastics Pact – to cut plastic packaging, as ministers consider forcing them to pay more towards collecting and recycling the waste they produce. Tesco, Sainsbury’s, Morrisons, Aldi, Lidl and Waitrose are among the 42 businesses so far supporting the new pledge, which includes an aspiration that by 2025 all plastic packaging can be reused, recycled or composted. At the start of this year, 11 global giants (including Unilever, Pepsi, Mars, M&S and L’Oréal) pledged to work towards having 100 per cent reusable, recyclable or compostable packaging by 2025. L’Oréal has since launched Phytonutrients, a sustainable beauty brand with paper packaging. We seem to be finally heading towards a world where sustainable goals in production are the expectation not the exception. In this new landscape, how can brands cut through? Some are attempting to out-do competition on the boldness of their promises – earlier this year, Iceland became the first major retailer to commit to totally eliminating plastic packaging from its own-brand products in the next five years. Other brands are taking a more scientific route; earlier this month, Unilever announced a partnership with start-up Ioniqa, which pioneers new technology to convert plastic waste. Meanwhile skincare brand Bulldog has recently launched new, sugarcane packaging. Yet these sustainability drives are fundamentally production-side. The anti-straw campaign shows how this culture is being driven by a groundswell of consumer support; consumers are using social media to hold brands to account for their contribution to the plastic leviathan that David Attenborough brought to their screens. Despite being central to the movement, many big brands are failing to engage consumers in their sustainability solutions. But there’s more to learn from the anti-straw campaign than its use of social media; alongside the public-shaming of disposable plastic straw users, a huge array of novelty or artistic reusable straws are now being sold. The campaign is challenging the narrative of self-sacrifice traditionally associated with environmentalism – instead offering consumers not only a star-studded media campaign, but a memorable, engaging and ultimately tangible solution. Smaller brands are pioneering this approach. Milk & More is tapping into hipster nostalgia for simplicity to drive growth of its milkman service using reusable glass bottles – while the Mylkman is providing a similar service for plant-based milks. New brand Ooho, and its edible seaweed-based ‘plastic’ bubble, is drawing crowds at South London's Borough Market by making sustainability a sensual experience. Sustainable solutions are being created that genuinely appeal to consumer tastes, which means traditional brands are competing with new and exciting brands that have built-in sustainability. Big brands can learn a lot from these initiatives and the anti-plastic straw movement. The discerning consumer of today not only expects brands to be committed to long-term sustainability goals, but they want more immediate gratification too. Consumers are seeking out opportunities to involve themselves directly in the sustainability movement, whether through a no-straw selfie or a Mylkman subscription. Brands looking to remain culturally prominent need to listen to this social signalling, and find ways to be colourful in a space where being ‘green’ was once enough.